The American Red Cross has one shelter open in Moore, Oklahoma and is working on creating others. They continue to operate three shelters that were opened Sunday in the Oklahoma City area following Sunday's storms. For ways to help and to donate, go to RedCross.org, and for people in Oklahoma near the tornado area, you can connect with one another and let loved ones know you’re safe at RedCross.org/SafeandWell. 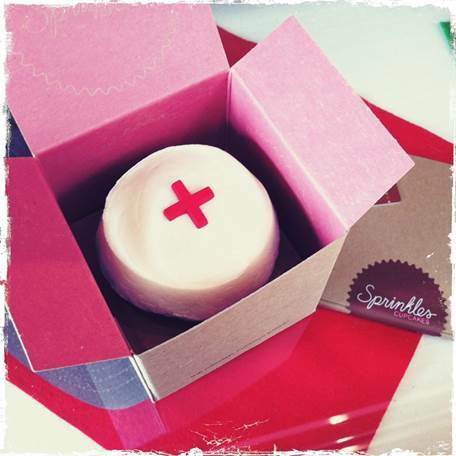 Sprinkles Cupcakes will also be selling Red Cross Red Velvet cupcakes all day on Wednesday, May 22 at all Sprinkles locations, with 100 percent of the proceeds to be donated to the Red Cross Oklahoma chapters helping with tornado relief efforts.